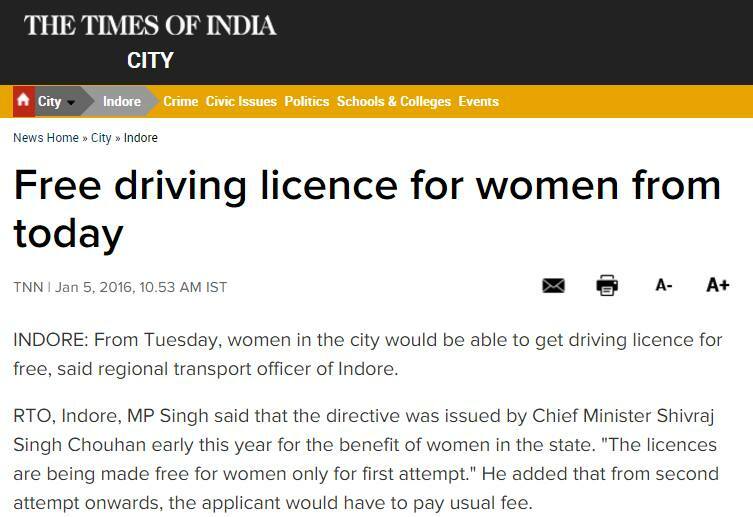 "From Tuesday, women in the city would be able to get driving licence for free, said regional transport officer of Indore. RTO, Indore, MP Singh said that the directive was issued by Chief Minister Shivraj Singh Chouhan early this year for the benefit of women in the state. 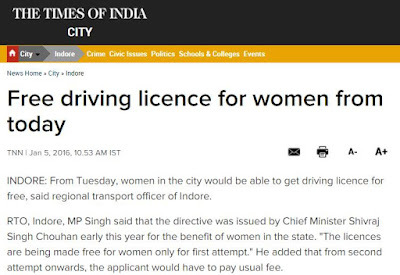 "The licences are being made free for women only for first attempt. "...When the applicant clicks on female in the gender section, the payment option would automatically disappear for both learning and permanent candidates," said Singh."